The Smarter Training for Faster Running Camp is open to all runners, coaches and teams in 8th grade through high school wanting to improve themselves in a positive learning environment. The camp will allow each athlete, regardless of age or ability, the opportunity to learn and grow as a runner, individual, leader and team member. 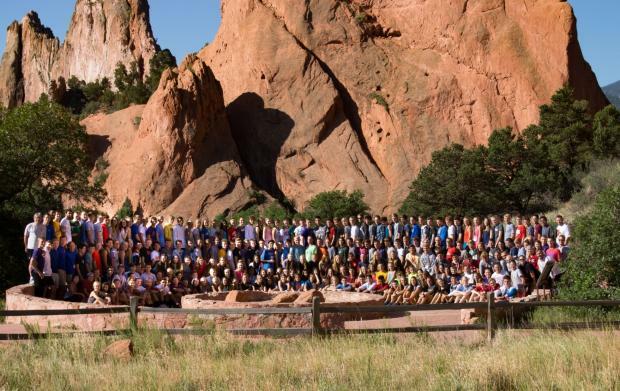 This youth cross country summer running camp started in 2002 in Pueblo, CO. Camp this year will be held in Fort Collins, CO. The demand is such that there is a waiting list each year for the camp. You are encouraged to get your registration in early in order to secure a spot! The camp is unique in that they teach the runner to take responsibility for his/her training while having fun. Their goal is for all campers to become better leaders, team members and productive members of society. Each camper and coach will be OmegaWave tested so that they can utilize heart rate, anaerobic threshold and VO2Max to optimize their individual training. The camper to staff ratio is normally 5 to 1. Runners, teams and coaches from around the world and the United States have attended the camp. The following countries have each been represented at camp; Australia, England, Japan, Germany and South Korea. Traditionally the Colorado camp has a strong following from Arizona, Colorado, Iowa, Kansas, Missouri, Nebraska, New Mexico, Oklahoma, South Dakota, Texas and Wyoming. Who will you meet and what will you learn in your quest to be the best that you can be?